The government has outlined the contents of the general conditions of service for all public service employees which are being implemented with effect from this month. This is being done to enhance the conditions of service of all employees in the public sector. In a statement to ZBC News, the Minister of State for Presidential Affairs and Monitoring Implementation of Government Programmes, Cde Simbarashe Mumbengegwi said the move taken by government follows negotiations through the National Joint Negotiating Council. 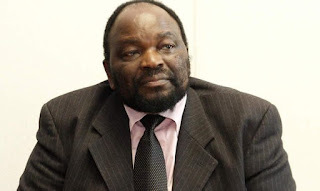 Cde Mumbengegwi said government will this month effect a 17.5 percent special civil service allowance, cash-in-lieu of leave for teachers who have accrued more than 123 days vacation leave. He said Treasury will be releasing funds to clear these days over the next six-months adding that another issues agreed upon is the reduction and alignment of rentals at institutional accommodation to housing allowances paid to various grades of civil servants. However, Minister Mumbengegwi underscored the point that the signed memorandum of agreement does not close room for continuous negotiations to explore and consider other additional non-monetary benefits to enhance the conditions of service of all civil servants. In this regard, the Public Service Commission in partnership with the National Social Security Authority (NSSA) has structured a $60 million public service housing facility for civil servants to be managed through the National Building Society. In addition, Minister Mumbengegwi said the government is currently working on the establishment of a Public Service Collective Bargaining Council that will deal with workers issues in a holistic manner.